This is IT!! 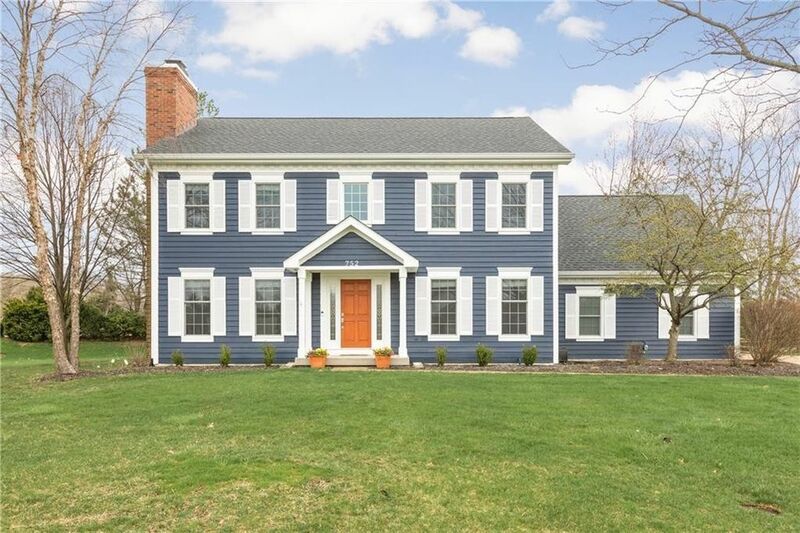 SO MUCH TLC has gone into each inch of this lovely Colonial w/in walking distance to all the best of Zville! Quick walk to downtown, boone village, & school! Immaculate, Bright, & Open! House features include new flooring thru-out, new Marvin windows, roof, gutters, & so much more! You'll die over the kitchen! Lrg center island, gorgeous granite, ss appl, white farmhouse sink, + blt in for xtra storage! Mud space w/ custom wood blt in cubby w/ smart drawers at bottom-perfect for coats & shoes! Master suite up is to die for! Nicely sized w/ lg wic, & spa bath you won't want to leave has soaker tub, seamless glass shower, marble tops. Xtra lrg GAR has full size 3rd bay w/ door to backyard w/ firepit & pergola. HURRY OVER!! Directions: From SR334 (Oak St) go North on Ford Rd to Whitestown Rd, East to Colonial Way, South to Franklin Trace, Left to Home on Left.